GLASGOW, Scotland, July 5, 2011 (ENS) – Seaweed that washes up in great piles along the coast of Wales may yield a viable future biofuel, especially if harvested in summer, Welsh scientists revealed at a scientific conference in Glasgow on Monday. The use of a kelp known as Laminaria digitata could provide an important alternative to biofuels grown on land, but the suitability of its chemical composition varies on a seasonal basis, the scientists told colleagues at the Society for Experimental Biology Annual Conference. Harvesting the kelp in July when carbohydrate levels in the kelp are at their highest would ensure optimal sugar release for biofuel production, their study shows. “The storage carbohydrate and soluble sugars get converted into ethanol in the fermentation process, so we need as much as possible,” explains Dr. Jessica Adams, a lead researcher at Aberystwyth University, where the study was conducted. Dr. Adams, a microbiologist and fermentation scientist, says metals can inhibit the fermentation process so metal concentrations in kelp should be kept low. Collecting monthly samples of kelp from the Welsh coast, the researchers used chemical analysis to assess the seasonal variability. Their results, presented at the Society for Experimental Biology Annual Conference on July 4, showed that the best month for biofuel harvest is in July when the kelp contains the highest proportions of carbohydrate and the lowest metal content. Kelp can be converted to biofuels in different ways such as fermentation or anaerobic digestion producing ethanol and methane, or by pyrolysis, a method of heating the fuel without oxygen, which produces bio-oil. 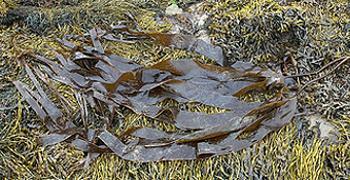 The chemical composition of the seaweed is important to both of these processes. Past research into biofuels has focused on terrestrial plants; however, these have the drawback of the conflict between using land to grow food or fuel. Marine ecosystems are an untapped resource that account for over 50 percent of global biomass, and Dr. Adams says seaweeds are capable of producing more biomass per square meter than fast-growing terrestrial plants such as sugar cane. Future work will improve the viability of the process by identifying and extracting high value substances, such as pigments and phenols, before the rest of the seaweed is used to produce biofuel. The seaweed research is part of a new initiative at Aberystwyth University that could boost the green economy in Wales and make a contribution to combating climate change. The BEACON program aims to develop new technologies and new ways of making products that are traditionally made from oil. The goal is to establish Wales as a bio-refining center of excellence. Deputy First Minister for Wales Ieuan Wyn Jones in February announced £10.5 million of funding for the program from the European Regional Development Fund. The total budget for the initiative is expected to be £20 million. 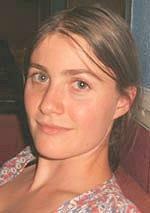 The Institute of Biological, Environmental and Rural Sciences at Aberystwyth, where Dr. Adams works, is the lead organization in the program in collaboration with Bangor and Swansea universities. The research involves bio-refining – developing sophisticated processes to turn locally grown crops into valuable chemicals and commercial products, from fuels to cosmetics, pharmaceuticals, textiles, food and health products.